Posted on December 1, 2014 December 8, 2014 by PADI Asia Pacific. “Welcome to the 2014 PADI Social! Let’s extend our thanks to Sport Diver magazine and Vicencia & Buckley for sponsoring the social. 2014 has been an exciting year for diving in general, and the PADI family in particular. There are still areas that need work, but the tide is rising. We’re seeing global growth in certifications. Many of the worlds’ economies are showing healthy signs of recovery, and some international markets showing double-digit increases. We’re working to ensure mainstream media are finding a renewed interest in what we do. For example, pop-culture magazines — outside of our industry — portray diving as an exciting, fashionable lifestyle. Diving is coming back in vogue — literally — the June 2014 issue of Vogue magazine featured Charlize Theron with her scuba gear right next to Gucci – that can only be good for diving. Adult and children’s television programming feature scuba, and the importance of preserving the ocean. Just like this Disney Jr. cartoon, Octonauts, which introduces these concepts at a very young age. The media’s attention on diving may ebb and flow, but it never completely goes away. Because even in a soft economy, while some areas get hit hard, overall, diving continues to draw people. So, what gives diving its staying power? What’s the universal appeal? It’s that diving gives back more than any other activity. It offers unequalled diversity and so many different reasons to do it. Is there any other activity that lets you be a naturalist, explorer, artist, scientist, gear head, educator, mentor, and world traveler — all at the same time? One that lets you thrill or chill … go local or go travel … do it with family and familiar friends … or with brand new faces from the world’s most diverse, interesting and adventure-oriented lifestyle? There isn’t anything else that offers all this. And, even though we come to diving with different interests, it unites us. Diving pulls us together across cultures, politics, generations and boundaries. It gives us a solidarity speaking on behalf of the aquatic world, and it breaks down barriers. Ever dived with someone who doesn’t speak your language? Underwater, you communicate, because you’re both fluent in “scuba”. Diving even unites people across different walks of life and spans the generational divide. I’ve had some of my best dives with unlikely groups of people who didn’t have much in common on land but in the water, were kindred spirits. Diving’s the great equalizer in another, more important way as well — it opens up a world for people who experience challenges out of the water. Diving liberates. It reduces these challenges. It even provides a healing quality, and I’m not just talking about for the body. It heals peoples’ hearts, souls and their spirit. I’m sure you’ve all seen this for yourselves. You can also see it during the premier of The Current by Kurt Miller this Thursday at the Make-A-Hero booth. But we get to take this a step further as dive professionals. We get to share our passion for diving with others and transform people’s lives. There’s nothing like the excitement you see when your student takes that first breath underwater. Or, when you shake the hand of a newly minted Divemaster. You’ve just changed a life! PADI is about much more than teaching diving. It’s about doing it well, with enthusiasm and fire. So that new divers leave our courses as not only competent, but excited, confident and ready for the next time they can get in the water. This passion is what drives equipment sales, continuing education and dive travel — the whole industry. Back in 1980, PADI issued a little over 100,000 certifications at all levels. Today it’s almost a million certifications annually … about 500,000 of which are new entry level divers. That’s five times more new divers annually than all certifications 35 years ago. If all these people become capable divers, but don’t get excited about diving, we’ve failed. We’ve let them down. We didn’t deliver what they came to us for. But we’re not failing. You’re exciting them and sharing your passion. We — you and I — show them the adventure, the art, the science, the gear and the travel diving offers. We lead them on high-adrenaline dives and on the Zen-state, not a care in the world dives. We teach them to care about, and protect, the oceans. That’s why we make a difference. PADI Divers are capable, confident and enthusiastic. All of this takes more than offering diving courses, doesn’t it? A lot more. Think about it – we don’t teach people to breathe underwater so they can sustain life; we teach them to breathe underwater so they can experience life. To truly accomplish this, it takes innovation. As the world changes around us, so must we. We evolve so that learning to dive stays relevant, timely and wondrous parts of people’s lives. That’s why we’re continually reinventing ourselves and reinventing the way the world learns to dive. We’re putting the first step of learning in the palms of consumers’ hands. We’re offering digital delivery of our training curriculum. And that’s keeping us all relevant to the world’s consumer. Recently, we were approached by Adobe Systems — the giant computer software company – with an interest in using PADI’s digital products as a case study. As a result, they benchmarked scuba diving training as a flagship in their digital publishing suite — and sent the PADI case study out to their massive database. What we do isn’t just “diving,” but part of making the world a better place. And how we do it today can’t be the same as we did it yesterday or it doesn’t fit people’s lives anymore. When you look at [the video], you’d think no one would ever leave diving. Know what? Almost no one does – at least in their hearts. That said, we’ve all experienced the familiar scenario: A person gets certified and becomes an enthusiastic scuba diver. Then, life – a career, marriage, family – gets in the way, and diving takes a back seat to other priorities. While it’s difficult to accurately estimate the global number of inactive divers, the number is substantial. In a recent and unprecedented PADI-certified diver survey aimed at measuring an inactive diver’s interest in reengaging as a scuba diver, PADI sent a survey to 400,000 certified divers. An amazing, 98 percent of responding inactive divers expressed both a strong interest in, and intention of, returning to scuba diving. At this DEMA Show, let’s have the conversation about PADI ReActivate — a new program to reignite the passion of inactive divers, reengage them with diving, and reconnect them with PADI Dive Centers, Resorts and Professionals worldwide. For the industry, this program provides a business stimulus as every stakeholder segment stands to benefit when inactive divers ReActivate and participate as divers once again. ReActivate is a means of proactively inviting inactive divers back into the water using modern educational technology downloaded into the palm of the hand. Instead of waiting for them to rejoin the ranks on their own, or struggling with how exactly to reengage, ReActivate is a clear, enjoyable and robust program designed to guide them back. ReActivate is much more than a refresher program. It is a strategic stimulus that promises new business for your dive operation and for the dive industry in general. It is a key benefit for PADI Members, and for inactive PADI Divers, the vast majority of whom dream about wanting to dive again. I’ve committed all the PADI Regional Headquarters to promote the ReActivate program, with divers returning to PADI Dive Centers and Resorts to complete it, on an international scale. I ask and challenge you to do the same, at the local level, with the inactive divers within your reach and within your databases. Let’s grow our industry together. As we enter into another DEMA Show and prepare to kick off a new year, let’s do so with optimism and the promise of new opportunities. Let’s remember that our ordinary days are extraordinary to the rest of the world. Because of your dedication, professionalism and enthusiasm, diving is thriving with the PADI Brand. In fact, PADI has become synonymous with diving… In the same way that Kleenex is synonymous with tissues. And, Xerox is synonymous with copies, PADI equals scuba diving. People of all walks of life, divers and non-divers, recognize that all-familiar diver carrying a torch on the globe. P-A-D-I signifies diving. The PADI brand is bigger than all of us; it will out-live all of us. It has power and prestige. That diver carrying the torch represents all of us. We honorably pass the torch to others in our lives to carry on the PADI brand. And that is why we lead the way the world learns to dive. I’d like to wrap this up with a toast to the PADI family, all of you in the room. But just after the toast, we’re going to have a little fun. 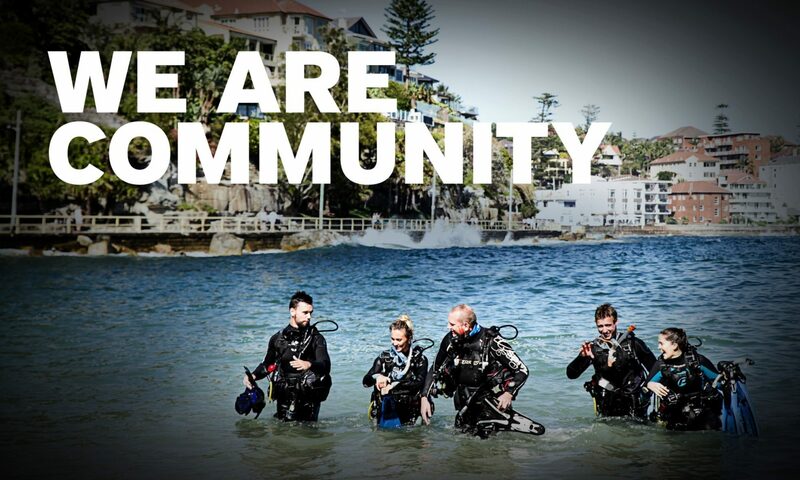 I want to capture a group photo – with as many of you as possible – to represent the PADI Brand. So we’re going to gather in close, snap a quick pic and then open the bar! But first, here’s to . . .
And to the incredible job we all do in sharing our passion for diving with millions of people. Here’s to, together, being number one in diving.